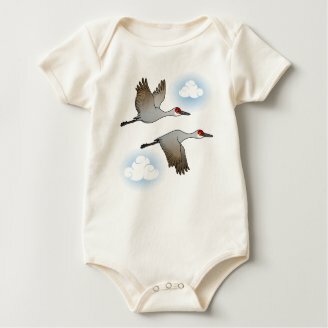 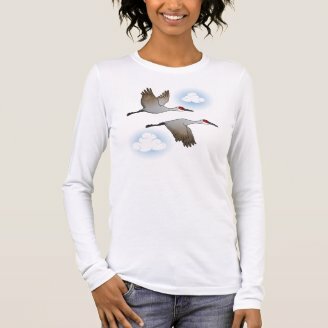 This week's highlighted t-shirt design features a cute pair of Sandhill Cranes in flight, shown here on our customizable Basic Long Sleeve T-Shirt from Zazzle. 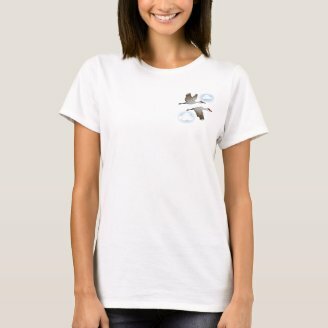 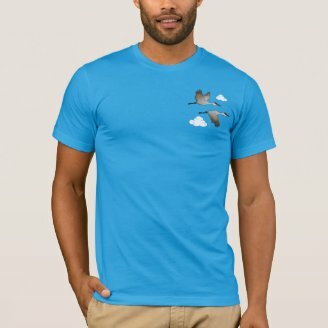 The cartoon birds on this graphic tee are illustrated in our signature Birdorable style. 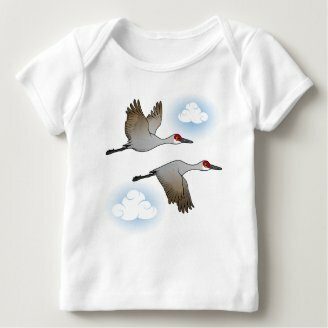 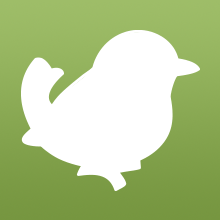 You can customize this gift by moving the birds around, changing the background color or style, and adding text or images -- make it your own! 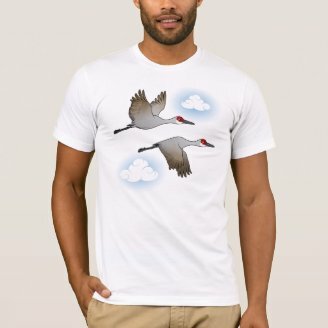 This will make a great gift for crane fans and birders. 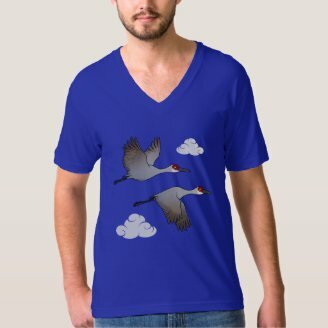 For more Birdorable cranes visit our new Cranes of the World page. 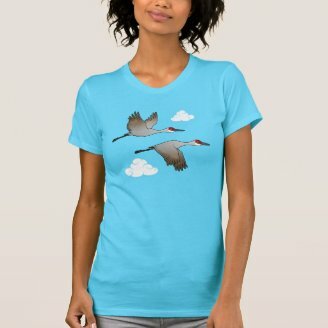 1 comment on "T-Shirt Tuesday: Flying Sandhill Cranes"
we have a lot in Florida!